It had been over eight months since Verizon Center hosted NHL hockey. Finally, last night, the Washington Capitals played the visiting Winnipeg Jets. A sellout crowd of fans showed up, were wanded upon entry, used their trick(y) new Season Ticket Holder cards and hoped the little machines would spit out the seat locator tabs they were promised to do. I guess they worked okay for most people. Since the scanner went into a reboot loop when they tried scanning my card, I would say that was I was not one of those people. Those that were backed up in line behind me because of it would probably agree. If the Capitals had shown up and put on a great show, it would have all been worth it (except the security theater part…best to just let TSA keep thinking they have that market cornered). But, they did not. They pretty much got bowled over. On the other hand, what is pretty great news is that I’ve joined the Japers’ Rink team and will be sharing most of my hockey photos over there in “Clyde’s Shots.” It should be more fun to view them over there than it’s been here. 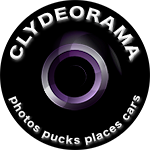 I’ll continue posting an image or two here from each game and the full sets on flickr as well, but my attention to clydeorama.com is going to shift to help me better showcase the rest of my photography. I hope you’ll keep following me on that journey. So, please jump on over to japersrink.com to see Capitals-Jets: The Night in Pictures or take a look on flickr.